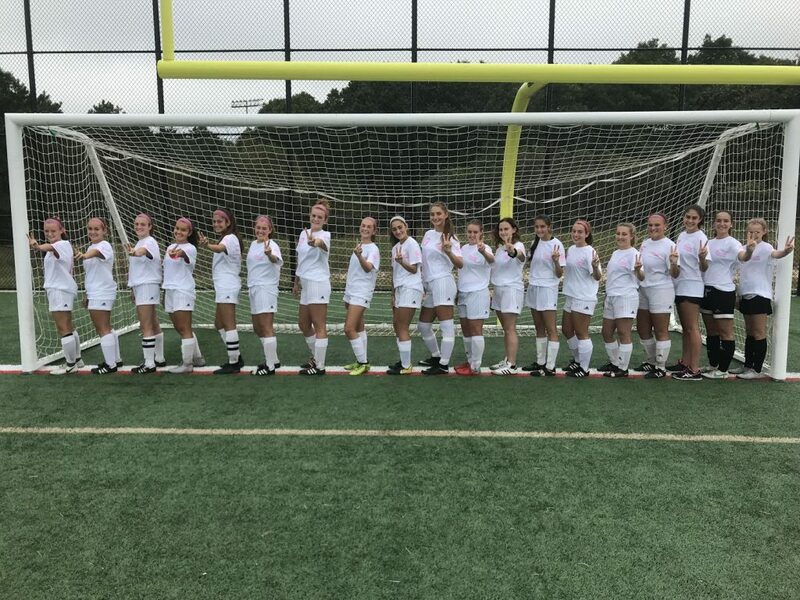 The girls soccer program participated in the annual Suffolk County Kicks for Cancer game! 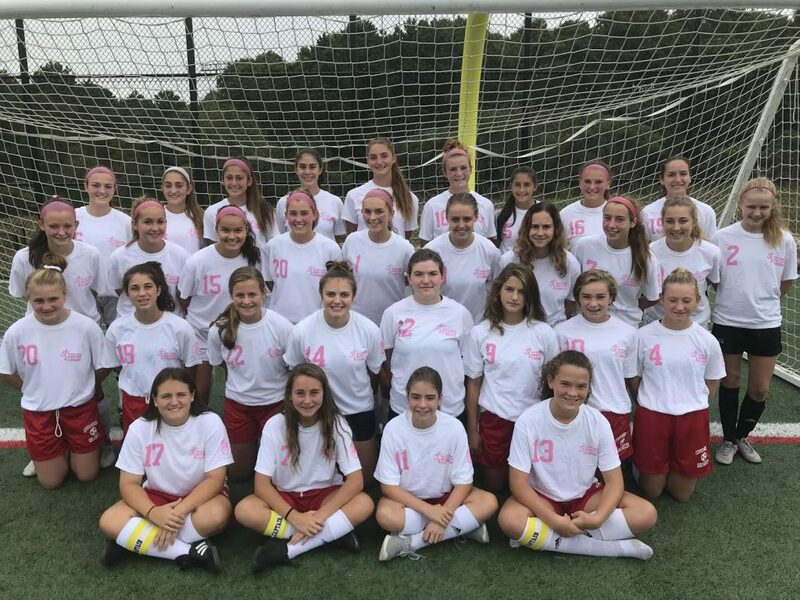 Our JV and Varisty raised $750 for this foundation. 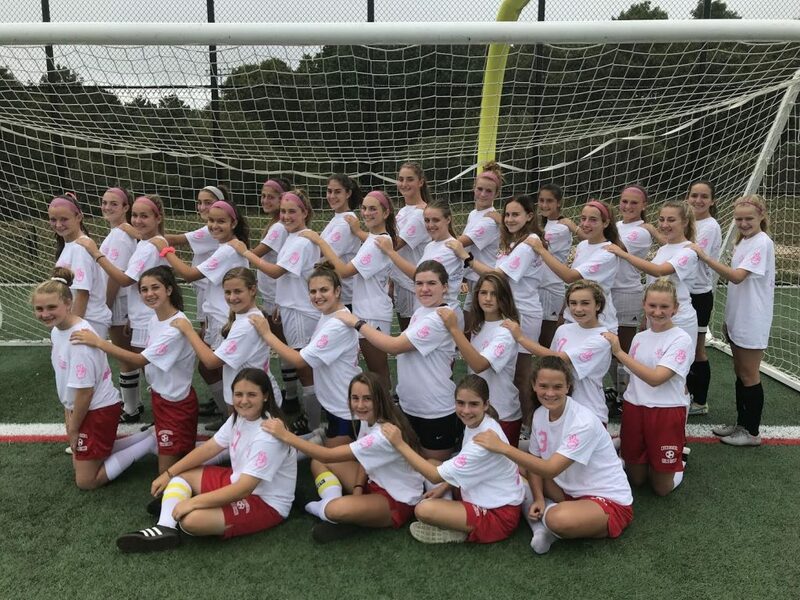 Hauppauge soccer hosts this event and we help support the cause and awareness. We have 31 student athletes this season. In addition, we added names of people who we played in honor of. We are playing for one of our sercurity guard who recently passed from cancer, Jimmy Henderson. We added a peace sign to our left sleeve on our uniform ( close to the heart). This was donated by East End Screen and Printing. We asked our community members for donations and played for someone they knew battling cancer, lost the battle, or has battled. The names were written on the back of our t-shirts. We received donations from Panera, Wholburgers, and John Giannot of Porters on the Lane for pizza pies that we will sell. All proceeds will be donated to a family affected from cancer in the community from Center Moriches. Currently we have raised $400 and counting! Our JV plays on Friday October 12th at 4:30pm! 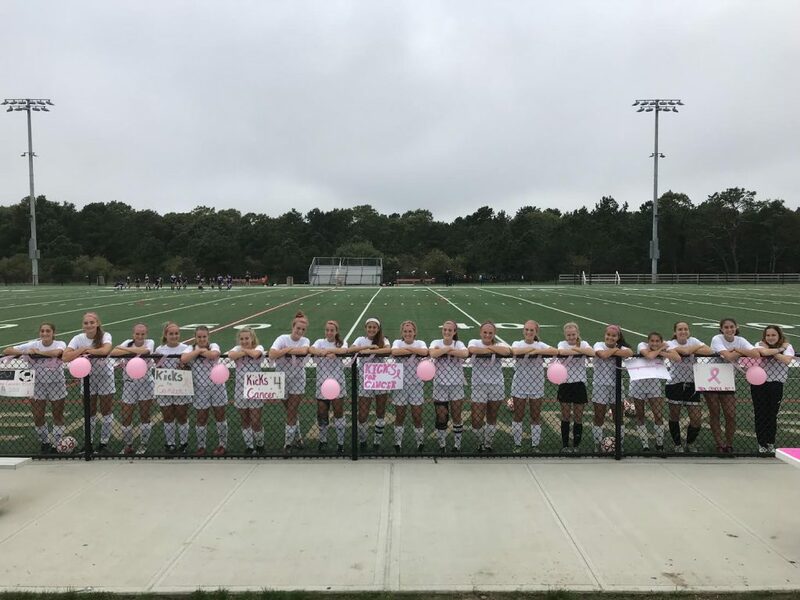 The girls decorated and made signs to promote the cause and raise awarness!